Technology is now a part of our daily lives, from smartphones that travel in our pockets, our tablets and laptops that enable us to bring work home with us. Even cars are now being linked to social media and the internet, it seems that we simply cannot avoid that technology is integrating into virtually every aspect of our lives. It was not long ago that computers were a thing of myth, massive machines that took up warehouses worth of space, phones required human operators to connect callers and many of the things we take for granted today were considered fantasy. Even so there are still some organisations that still run the antiquated fax machine. While the rest of us have turfed that noisy, bulky, messy machine, there is still some demand for this mode of communication. This is where fax to email comes into play. Because we communicate through virtually every medium possible on our smartphones, tablets and laptops, there are geniuses like FaxFX who have married the old and the new to bring you fax to email. 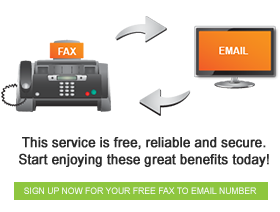 Simply sign up, receive your fax number and you can send and receive faxes virtually anywhere on the planet. The beauty of fax to email is simply that it arrives in your regular email inbox – this means that if you receive your emails on your phone you will receive your faxes there too. So if you deal with organisations who are technologically challenged, you don’t have to worry about reams of paper, litres of inks and toners and all the inconvenience that goes with running your own fax machine. Just call FaxFX and step into the future today.